And so begins a 100 year retrospective. 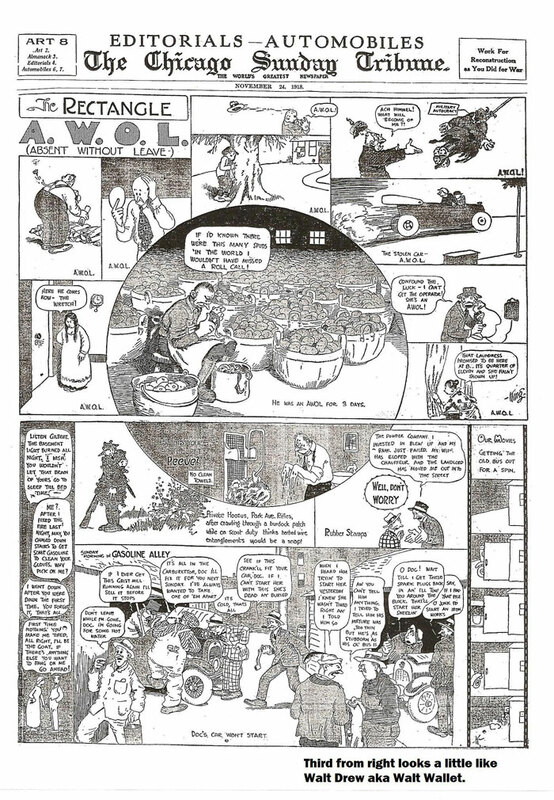 Jim Scancarelli starts looking back at a hundred years of Gasoline Alley comic strips. 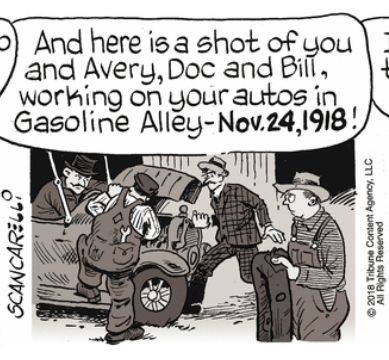 The middle panel of today’s (September 13, 2018) strip is Jim’s edited look at a detail of the very first Gasoline Alley panel from The Chicago Tribune of November 24, 1918. I seem to be in the minority opinion about one thing. Jim’s assessment, like many, including respected comics historian R. C. Harvey, is that Walt is the third individual from the right. My notion is that Walt is the second from the right, the guy leaning over an engine inside the garage. Irregardless, the first Gasoline Alley panel was only a part of cartoonist Frank King‘s anthological Sunday page called The Rectangle. 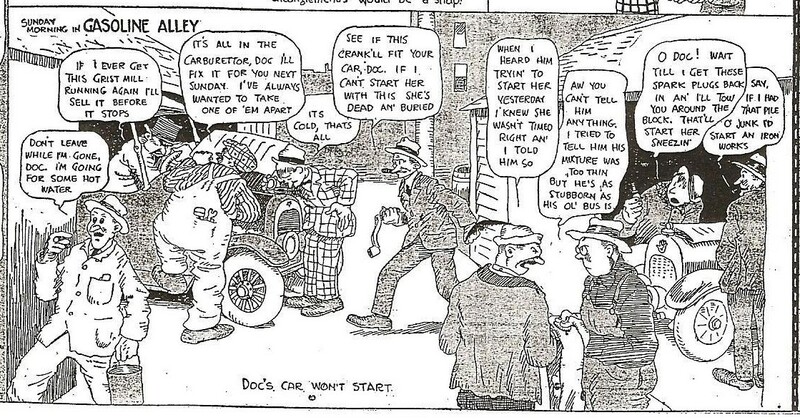 The first three years of Gasoline Alley are in public domain, and The Crittenden Automotive Library has posted the 1918 through 1921 years on their website including the February 14, 1921 introduction of Skeezix. To follow the current 100th Anniversary story by Jim Scancarelli you can either go to the Tribune Content Agency site for a black and white presentation, or in color, with a deep 18 year archive, at the GoComics site. * from The Kinks’ Do It Again.